Ruth Gregson ran The Botanical Institute on Nicholson Street for two years. 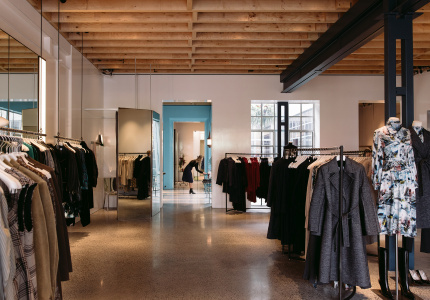 But when the opportunity arose to move into a roomier space in Fitzroy North’s village, she swiftly shifted shops. 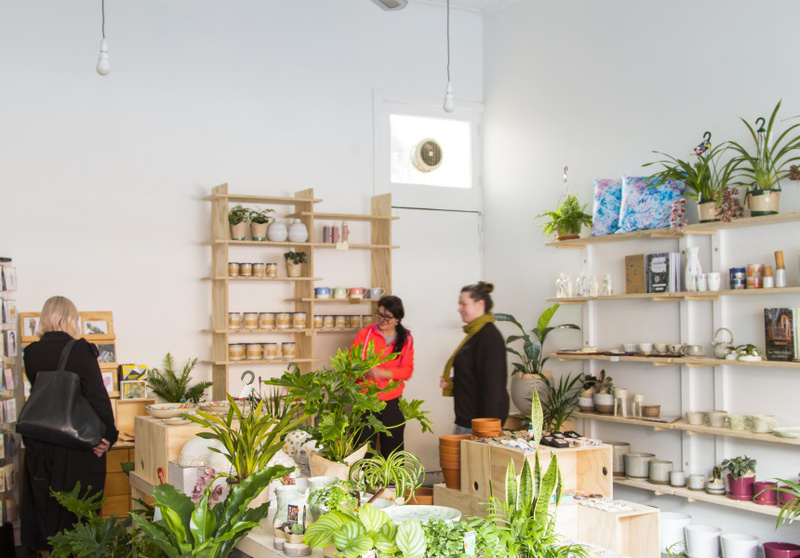 With the new location came a new name, and now Nature Boy Nrth sits alongside the Super Tasty Rooster chicken shop and wine purveyors Blackhearts & Sparrows. 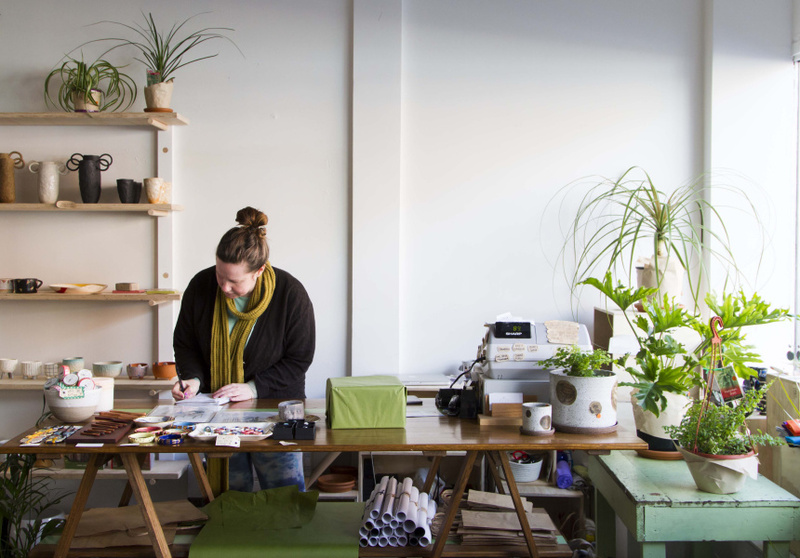 The shop stocks ceramics by many local makers, and other handmade gifts such as jewellery by Emily Green and Ruby Pilven, Bind Fold’s shibori tea towels, Gemma Patford baskets and Ghostly socks. Ceramics from further afield include those by Katia Carletti (Adelaide), Rita Mu and Milly Dent (Sydney), Erin Lightfoot (Brisbane) and Anh Ceramics (South Carolina). 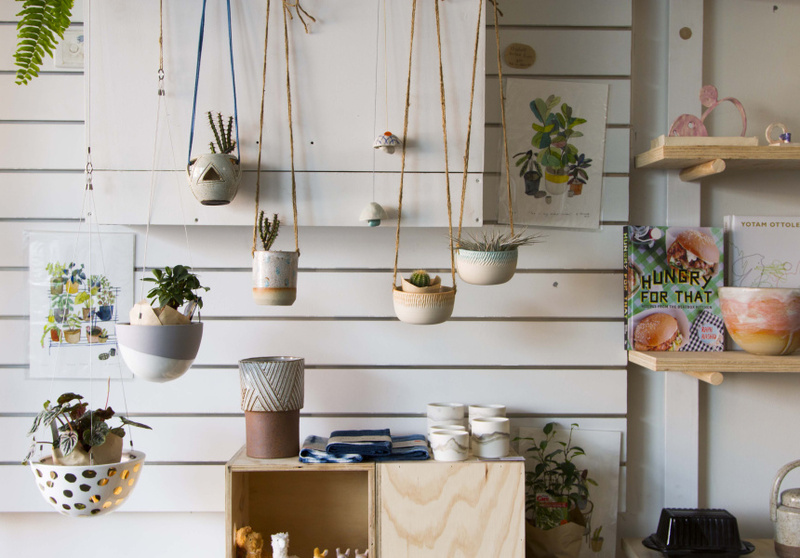 Recipe books, cards, leafy indoor plants, shapely cacti and Gregson’s own handmade soy wax candles round out the offering. Using her background in floristry, Gregson also puts together a daily flower posy for delivery (by bicycle) on weekends in the local area.